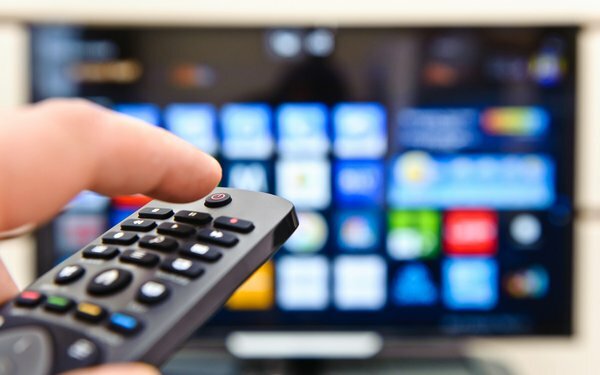 Smart TV To Hit 70% Global Share, Streaming Boxes Tops In U.S.
Worldwide shipments of TVs with smart TV software keep growing -- with Android-based functionality grabbing the top share. Global smart TV share will hit 70% this year, up fro 64% last year, and 45% in 2015, according IHS Markit. Android-based smart TV will have a 40% share by the end of the year; Tizen (Samsung) will be at 23%; WebOS (LG) at 13%; and Roku, 6%. Global TV shipments are expected to rise 3.5% to 223 million units. Overall, most U.S. homes have a separate streaming OTT media players. In an April 2018 study from comScore -- among U.S. homes with Wi-Fi, with 80% of homes having at least one OTT devices -- 47% have a separate OTT streaming box, up from 40% in April 2017. Next comes smart TVs at 37%, which is up from 30%. Gaming consoles are at 31% (28% in April 2017); Traditional set-top box, 23% (down from 25%) ; Internet/blu-ray players, 8% (7% in April 2017).